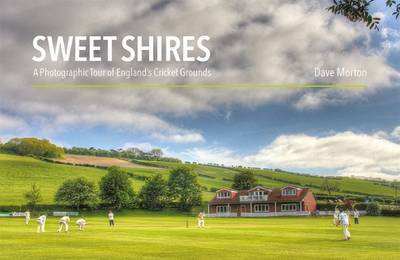 'Sweet Shires' is a book about cricket; it is also a photo-book, with forty-two full-page, high-quality prints.Dave Morton has briefly detailed his own background in the game, from cricket-mad young boy in 1950s Bradford, through teenage years in Staffordshire, and on to thirty summers, and more, as an amateur league player in Manchester. The photographs belong to the author's later years. Follow him on a journey through the sweet green shires of England and Wales. The major grounds are represented here, and the smaller County HQs. There are the 'outgrounds' too, those venues used by County Clubs for occasional matches, or for 2nd XI fixtures. Nor has the grass-roots game been neglected, with many scenic views of club grounds, mostly in the North of England. Each photograph is accompanied by Dave's anecdotes of players and matches fondly remembered, and of his encounters with the eccentric folk who follow the game, away from TV's spotlight.